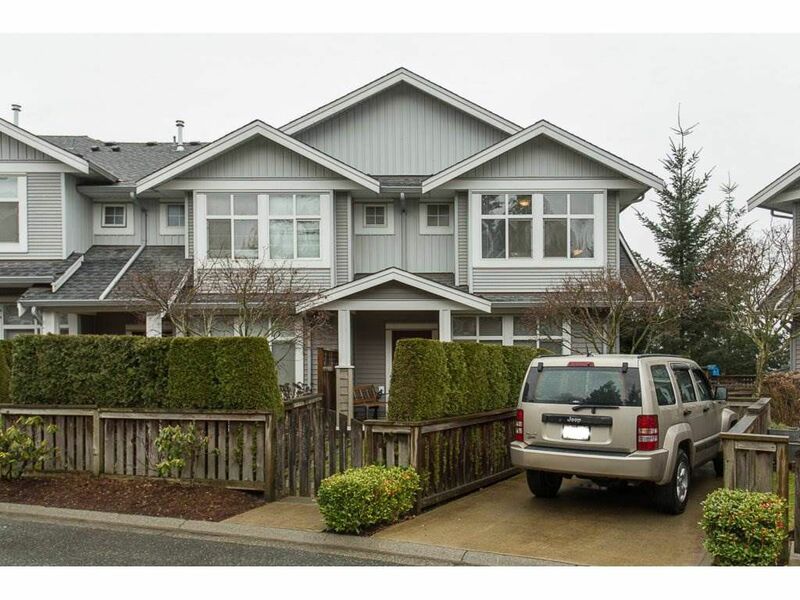 Stunning End unit townhouse with side by side double garage and extra parking on the driveway! This superb home has all the features, 9' ceilings, Maple and Granite kitchen with breakfast bar, 2 fireplaces, crown moulding, 3 baths, 3 generous bedrooms, built in speakers, and large sundeck. Master suite features walk in closet, ensuite has double sinks, and the basement features a media/excersise room with large custom built in cabinetry. Recent designer paint and visitor parking beside the unit front and back. Excellent location in Willoughby Heights with access to transit, shopping and schools.